NaturalBeauty: Friday's Recipe: Coconutty Skin Polish! Friday's Recipe: Coconutty Skin Polish! 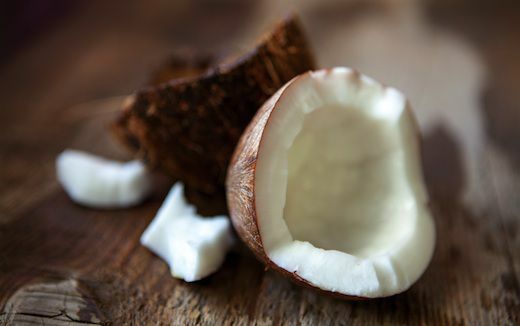 Try this coconutty skin recipe to get exfoliated, soft and moisturized skin! We all need a beauty break every now and then. - OPTIONAL: Add a few drops of rosehip oil. 1) Warm coconut oil in oven in an oven safe bowl. 2) Put the almond or avocado oil and cornmeal into the bowl. 3) Blend everything with a hand mixer. 4) Apply evenly on face and body for fifteen minutes. 5) Wash off with lukewarm water. Tuesdays Tip: Quick Pimple Paste! Another Sunday Post! How about another Face Mask? Two Ingredient Fruity Body and Face Scrub! "You Have Jam on Your Face" Facemask! Monday Skin Tip of the Day! Rose and Honey Face Mask! Hair Tip Habit of the Day! A Surprising Nightly Face Cleanser! Message to all Natural Beauties! Homemade Anti-Aging Essential Oil Moisturizer! Homemade, Two Ingredient Pore Strips!